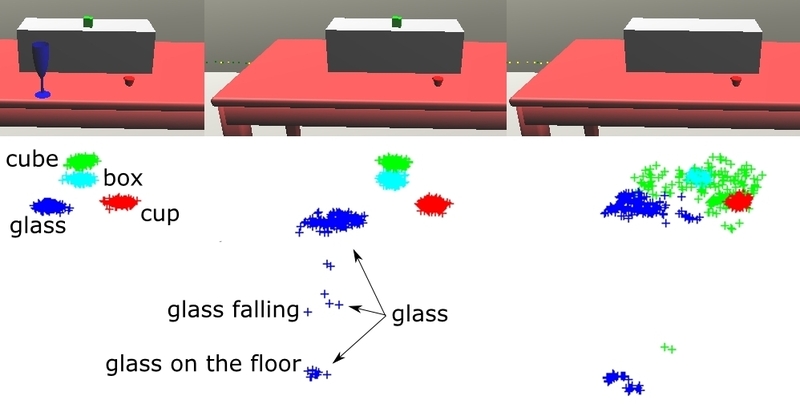 In this position paper we propose the use of the Distributional Clauses Particle Filter in conjunction with a model-based 3D object tracking method in monocular camera sequences. We describe the model based object tracking method that is based on contour and edge features for 3D pose relative estimation. We also describe the application of the Distributional Clauses Particle Filter that takes into account inputs from object tracking. We argue that objects’ dynamics can be modeled via probabilistic rules, which makes possible to predict and utilize a pose hypothesis space for fully occluded or ‘invisible’ (hidden-away) objects that may re-appear in the camera field of view. Important issues, such as losing track of the object in a ‘total occlusion’ scenario, are discussed.